Whether Elon Musk is Iron Man is still up for debate. What’s inarguable, however, is that the Tesla Motors founder has something radical up his sleeve, something that could blur the line between fantasy and reality. And no, it’s not his SpaceX transport and tourism efforts. He has something firmly terrestrial in mind — a mind-bending, air-pressurized mode of travel that could blow California’s proposed high-speed rail out of the water. 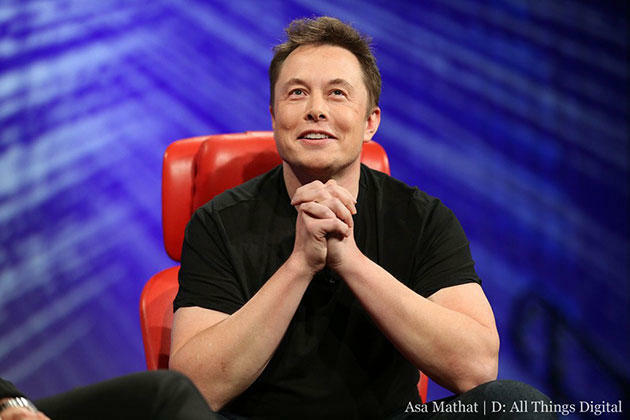 When he hit the stage AllThingsD’s D11 conference, he tried to keep the conversation focused on talking points including Tesla’s amah-zing electric car, the exciting build-out of his supercharger network, even the colonization of Mars. (He thinks Space X is the technology to get us there.) But when an audience member asked him about the under-wraps project called “Hyperloop,” he couldn’t resist mentioning a little something about it. In essence, it’s a way to travel from Los Angeles to San Francisco at blazing fast speeds. Think of it as “a cross between a Concorde, a rail gun, and an air hockey table,” said Musk. 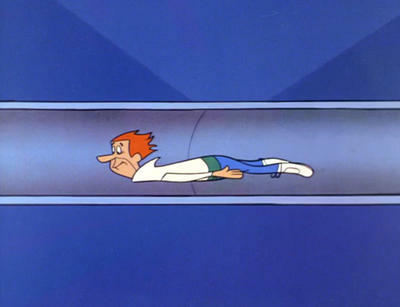 Enter visions of Jetson’s pneumatic airtube, no? In fact, Musk has even harked back to the animated series transport before. For a man trying to keep hush-hush about an upcoming project, Musk isn’t doing a very good job. Last year, the exec gushed to PandoDaily’s Sarah Lacy about his ambitious transportation alternative. He said then that, like the Jetson air tunnel, it “can never crash, is immune to weather” and could travel twice as fast as an air craft, but at less cost. And it could be self-powered by solar energy. How the interviewer managed to go on with a serious interview after that is a mystery, but the exec wasn’t pulling her leg. “This is possible, absolutely,” said Musk. At the time, he considered open-sourcing this “fifth mode of transport” — after planes, trains, automobiles and boats — but with no news on that front, and his casual bombshell announcement now that he’d talk more details around the end of June, it seems his company kept the concept for itself. Well, whatever he has in mind, at least we don’t have long to wait to see what it is. And at least one thing’s for sure: When it comes to wacky ideas from rich execs, Musk has reached the pinnacle of that mountain. Sir Richard Branson, it’s your move now. Here’s Musk talking about Hyperloop at D11 (for the full interview, click here), followed by PandoDaily’s 2012 fireside chat. The goods in the latter vid are at 43:12 through 46:54. If you’re a Musk fan, you may want to watch the whole hour-long conversation, as it offers some insight into the mind of this eccentric Iron Man.